We are delighted to share with you this video by our client Gene Dolgoff. Gerry Elman helped him file his first patent application in 1968, which Gene mentions here. And we are honored to be helping protect the intellectual property for his latest inventions as well. Click the > PLAY button in the image to start the video. Since the America Invents Act took effect, the Inter Partes Review process at the USPTO has led to the overwhelming majority of challenged patents being invalidated by the USPTO’s Patent Trial and Appeal Board. Less than 20% of instituted claims survive a trial. Various inventors’ groups and independent inventors have joined the chorus of those seeking to persuade the Supreme Court to declare unconstitutional the process of invalidating patents via Inter Partes Review procedures at an administrative agency, the Patent Trial and Appeal Board, rather than in a court under Article III of the Constitution. Two amicus curiae briefs may be downloaded here. U.S. Supreme Court Case: Oil States Energy Services, LLC. v. Greene’s Energy Group, LLC, Dkt. 16-712. Click here for the summary of this case on ScotusBlog. *Analysis from the USPTO statistics from March 31, 2016, at www.uspto.gov/sites/default/files/documents/2016-3-31%20PTAB.pdf ('IPR Petitions Terminated to Date' chart on page 13). To download the amicus curiae briefs by inventors' groups and independent inventors who are challenging the constitutionality of the IPR process, please complete the information below. Invest the time and money in crafting a complete provisional patent application. It will be the foundation for a strong and enforceable patent. Avoid the pitfall of filing a “quick and dirty” provisional. Whatever you imagine you’ll save upfront will be wasted in the long run when the patent turns out to be worthless. Unfortunately, some companies and inventors have been taken in by the dangerous myth that a provisional U.S. patent application is but a first draft – that you can “just write something quickly and get it on file.” But in fact, a provisional application must describe the invention as completely as a non-provisional application. A “quick and dirty” description is likely to omit something essential. Instead of laying a foundation for a valid patent, the inventor could wind up with nothing. Congress created the provisional application in 1995, to give American inventors a simplified initial patent filing. A supposed benefit was that provisional applications needn’t include formal patent claims, presumably lowering the cost of preparing this preliminary application. Nevertheless, a provisional application is defective unless its written description adequately supports the claims of the non-provisional application that will issue as a patent. New Railhead Manufacturing learned this the hard way. In 1996, their engineering team invented an improved bit to drill horizontally through solid rock. Before then, when a utility wanted to lay cables and pipes under a street, the entire street would be ripped open. With this tool, you could efficiently drill under the street without tearing up the pavement. In mid-1996, New Railhead began selling the new drill. Hoping to protect their revolutionary technology, the company filed a provisional patent application in February 1997, and then filed a non-provisional application in November 1997 with description and drawings that were more complete. The Patent Office examined the application and agreed the invention was patentable. The patent issued in May 1999. New Railhead’s success quickly attracted copycats. Other companies, including Earth Tool Company, began to sell their own version of this drill. 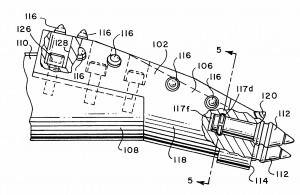 New Railhead wasted no time defending their turf: the day after the patent issued, they sued Earth Tool for infringement. But sadly for New Railhead, Earth Tool persuaded the judge that the patent was invalid. Earth Tool’s lawyers had detected a defect in the patent applications. The claims that issued from the non-provisional application stated that the drill bit attached to its housing at an angle. Unfortunately, that aspect was missing from the provisional application. 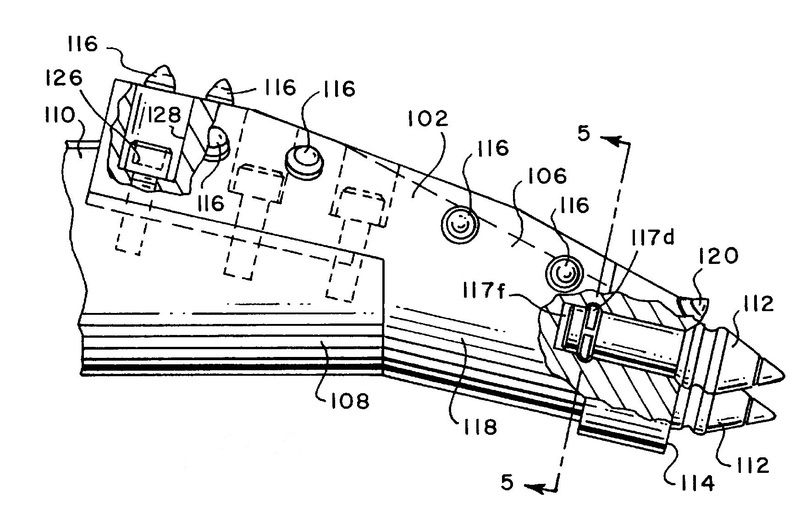 After placing the drill on sale in mid-1996, New Railhead needed to file a complete patent application within 12 months, or be barred from ever getting a patent. The provisional patent application was filed on time but, unfortunately, wasn’t complete. The non-provisional application was complete, but it was filed too late. The appellate court in Washington, D.C. agreed with the district judge that the incomplete provisional was too weak to serve as a foundation for the claims of the later-filed non-provisional application. So the copycats could continue copying with impunity. Inventors need fully-descriptive patent applications to protect their precious inventions, but few inventors can see their inventions with a stranger’s eye. The patent attorney’s independent perspective complements the inventor’s vision, and together they produce a more complete description of the inventive concept and its various ramifications. Don’t go it alone: you and your patent attorney are more valuable together than apart. Partner up from the outset, to ensure that your provisional application provides a rock-solid foundation to support the patent you are hoping for. “A Crash Course on Creativity” will be led by Stanford University professor Tina Seelig, April 22-June 2, 2013. During the course, teams from around the world will participate online in exercises to spark inventions and other creative results. Delivered via Stanford’s platform Venture-Lab, this course will springboard from her book inGenius. The course is offered WITHOUT CHARGE to everyone who chooses to participate in this MOOC. Trained as a neuroscientist and sharing with Intellectual Ventures chief Nathan Myhrvold a love of the science of cooking, Seelig directs the Stanford Technology Ventures Program where she focuses on developing the next generation of entrepreneurial leaders. I had the pleasure of hearing Prof. Seelig speak about this last Saturday at the STARS Volunteer Leadership Assembly on the Stanford campus. Since 2001, Gerry Elman has been a founding member of the World Technology Network (the “WTN”). Annually since then, the WTN has produced a summit conference and awards gala, the World Technology Summit and Awards, at venues ranging from London, to San Francisco, to New York City. This year’s World Technology Summit and Awards took place in New York City on November 30 and December 1 at the Time & Life Building at Rockefeller Center. Indeed, at a previous World Technology Summit, science fiction legend Sir Arthur C. Clarke was interviewed via a satellite link from his home in Sri Lanka, fitting–in that he had first proposed satellite communications in 1945. Gerry asserts that an unsung prophet of biotechnology is Damon Knight, who in 1953 wrote a story called Natural State in which rural agricultural biotechnologists (the “muckfeet”) are at war against city folk whose lives are based on electromechanical technology. In the story, the muckfeet communicate via genetically engineered vines with a nervous system that provides telephony, and transport themselves via genetically engineered big birds. They win the war with the urbanites by splicing genes into a microbe to get it to gobble up copper, thereby destroying the technological infrastructure by which the city people communicate. Gerry notes that, at the same time that James Watson and Francis Crick were sussing out the double-helix structure of DNA, Damon Knight conceived for that story the concept of splicing genes to create a biological chimera. Later, Stanley Cohen and Herbert Boyer were to develop a tool to realize that dream, the technique of recombinant DNA, that was patented due to the watchful eye of patent attorney Bertram Rowland (whose recent passing we sadly note), working with Niels Reimers of the Stanford University technology transfer office. Gerry observes wryly that Damon Knight’s story was not among the “prior art” cited during the prosecution of the Cohen-Boyer patents. 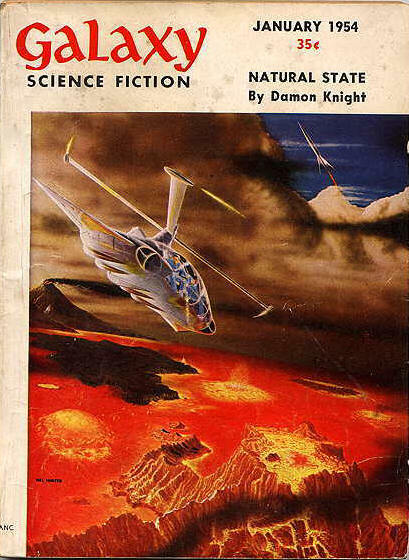 Damon Knight went on to found an organization of authors then called Science Fiction Writers of America (“SWFA”) and now known as Science Fiction and Fantasy Writers of America. More recently, Roundtable panelist Paul Levinson served as president of SWFA. Coincidentally many scenes of Levinson’s sci-fi novels are set in midtown Manhattan, close to the venue of the Summit conference. Gerry observes that the war between biotechnologists and information technologists envisioned by Damon Knight in Natural State has an eerily familiar echo in the present debate over “patent reform.” Many major information technology companies have been lobbying Congress to defang U.S. patent law, while most biotechnology companies are striving to resist such a statutory change. For further information on this, subscribe to Elman’s Patent Reform News by sending Gerry an email addressed to info@elman.com, and visit the website of American Innovators for Patent Reform. As to the vulnerability of our technological infrastructure highlighted by Knight’s story, Gerry urges us also to heed the cautionary message in Richard Clarke’s recent book Cyber War.